When will be Daniel and Majella's B&B Road Trip next episode air date? Is Daniel and Majella's B&B Road Trip renewed or cancelled? Where to countdown Daniel and Majella's B&B Road Trip air dates? Is Daniel and Majella's B&B Road Trip worth watching? 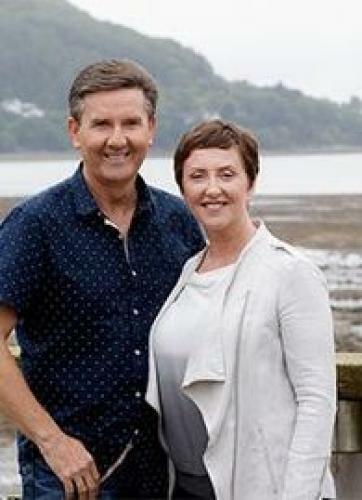 Daniel O'Donnell and his wife Majella are on the road again! Over six episodes, we will follow the pair as they embark on their hilarious B&B road trip around Ireland.While Majella is the one behind the wheel, the real driving force behind this adventure are the B&B owners of Ireland. Daniel and Majella have bravely handed over complete control of their journey. Along with their 'Full Irish', their hosts will be serving up unforgettable experiences - from sloshing with the locals in Kerry and ski-bobbing on the Dublin Mountains to chasing waterfalls in Donegal.Filmed in real time, it's a non-stop adventure following husband and wife as they negotiate the winding roads of Ireland and experience the hidden treasures that only locals know best! Daniel and Majella's B&B Road Trip next episode air date provides TVMaze for you. EpisoDate.com is your TV show guide to Countdown Daniel and Majella's B&B Road Trip Episode Air Dates and to stay in touch with Daniel and Majella's B&B Road Trip next episode Air Date and your others favorite TV Shows. Add the shows you like to a "Watchlist" and let the site take it from there.